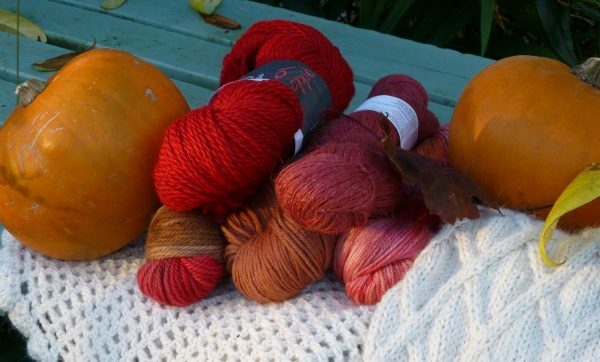 Here at Gorgeous Yarns we specialise in natural yarns to knit and crochet with, lovely fibres which make creating something beautiful a pleasure. Some of our yarns are hand dyed, this adds another dimension to your project and makes it truly unique. We carefully select all the yarns we stock, and all are premium, heritage yarns. I have personally knitted with all the yarns we stock so I can honestly recommend them to you, I knit every day and I’m keen to share my experience of these beautiful yarns with you by suggesting projects the yarns are suitable for. Our products are carefully packaged and we will endeavour to post on the same day whenever possible. Why not make your yarn parcel extra special by opting for Gift Packaging, for yourself as a treat or for someone special as a gift? Items will be wrapped in tissue, packaged in a box, hand decorated, tied with silk ribbon, and quality wrapping paper. Gift packaging includes a few little extras from us too! We also offer a Custom Gift Service. We help you select the perfect gift from our range for your loved one, gift wrap it and hand write a card if you would like us to. We aim to post it ASAP. Please contact us to discuss your ideas…..
We will be publishing lots of useful tips and tricks on our blog plus we will be running workshops and events. Follow us on Facebook, Pinterest or Ravelry. Copyright 2014, Gorgeous Yarns. All rights reserved.